Laminectomy - Princeton Orthopaedic Associates, P.A. A laminectomy is performed through the back of the spine under general anesthesia. The removal of the lamina and any bone spurs relieves the pressure on the spinal cord. The remaining spine bones can be connected by titanium metal rods with screws attached to bones on each side. 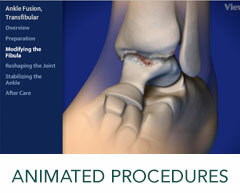 The procedure can also be done without fusion. To learn more about our Laminectomy Services, please contact us today to schedule an appointment!